Specializing in safe healthy month or longer LONG TERM accommodations in Las Vegas. 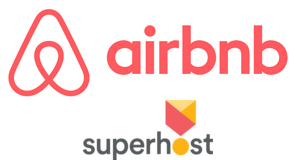 NEW Airbnb Members Get $$$$$ Credit towards your next stay!!! Now Available on Amazon and Kindle! Near Downtown and the Strip! Buy our new healthy easy Raw Food recipe book on amazon... WholeWay Home founders, anand and Chef Mason Green created all of the recipes for Eat Like Eve, a fun, fine easy-to follow raw food recipe un-cookbook produced by pop culture author and Retro Advice Columnist, Cherry Capri. The information on this website is presented for educational purposes only. It is not intended as a substitute for the diagnosis, treatment and advice of a qualified licensed professional. Throughout this website, statements are made pertaining to the properties and/or functions of nutritional products. These statements have not been evaluated by the Food and Drug Administration and these materials and products are not intended to diagnose, treat, cure or prevent any disease. Information on our website should not necessarily be relied upon and should not to be construed to be professional advice from us. We do not guarantee the accuracy or completeness of any of the information provided, and is not responsible for any loss resulting from your reliance on such information. "My stay at the Whole-way house was awesome. The neighborhood is very urban, eclectic, and so friendly! The house was very clean, nicely furnished and well-equipped with everything I needed. I always felt very comfortable in the house and in the neighborhood. Although the house is located in the heart of the city it's on a quiet side street so I never heard any noise in the evenings and always had a great nights' sleep (I'm a very light sleeper). My greatest memory was taking my evening walks and seeing the beautiful sights and sounds of the city. I would highly recommend the WholeWay Home to friends and family!" "This was a truly peaceful space and I had the best sleep in years. It was very clean throughout. The proximity to everything was very helpful as I navigated Vegas for the first time. This is a terrific space to escape the revelry of the Strip - trust me, you will need to, and still have all the amenities you need, as well as a time capsule environment to set a fun tone to your visit!" "I absolutely loved this place! It is exactly like in the description and perfect for a longer and peaceful stay in Las Vegas outside of the crowded Strip area. You can reach everything easily with the bus, that stops just 2 minutes from the house. I would absolutly recommend and come again!" "This was a perfect cure for the strip blues. If you wish to renew yourself from the frenetic nature of Las Vegas while being in Las Vegas I couldn't suggest a better place. The bed is lovely and comfortable. But I must say, ending my days watching the sunset while relaxing in the hammock at the end of the day was amazing. It was so amazing I really didn't want to leave this oasis. And bonus, they have an array of fruit and nut trees. I highly recommend staying here." "The house is in a convenient and quiet location, not far from the Strip and downtown. Bus stop in less than a minute walk away, supermarket 5 mintes walk away. Your stay place is semi detached from owner's place so you have privacy. You will find everything you need in a house, it's a fully furnished vintage style apartment." © 2012-2017 mm stratton all rights reserved. There is a possibility of text or images used on this site that belong to others. No copyright infringement is implied. These are shared to help educate readers. If you have found anything on this site that needs to be fixed, credited or removed, please contact me.